In my last blog post I took the position that natural gas hydraulic fracturing (fracing) is a good thing. This is an assertion that is born out by the history of natural gas drilling around the world over the last twenty to thirty years. Indeed, hydraulic fracturing has been used in one form or another for the last seventy plus years! The technology has enough history, and the practitioners enough expertise that hydraulic fracturing should not be a problem, anywhere. It is physically impossible for seepage from a fractured shale formation over a mile deep to get to the surface. There are just too many layers of other, different types of rock prohibiting that seepage. The greatest risks for environmental problems lie elsewhere, not with the actual fracturing of a shale structure. Water – This is perhaps the most common pollution problem found at a drilling site. The hydraulic fracturing itself does not cause a problem. Most environmental problems linked to fracing are caused by the mishandling of drilling muds, fracing water, waste water, transportation spills of toxic chemicals, and improperly constructed wells. The literature is very clear on this account. If the well is properly constructed, and if the fluids are handled properly, there is no problem. 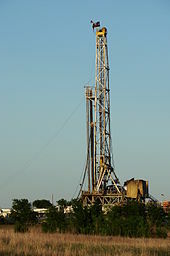 Please read this article from the Shale Gas Wiki. Much of the so-called evidence against natural gas hydraulic fracturing is anecdotal. It is just one uninformed, emotional story after another. The people in New York State are rightfully concerned about the natural gas drilling into the Marcellus Formation. The same shale formation underlies portions of Pennsylvania, West Virginia, and Ohio.There have been reports in these states of methane pollution of the drinking water. This is not unusual. In one study it was found that out of 60 water wells tested in Pennsylvania and New York, eighty-five percent showed thermogenic methane content. This means that the gas was caused by natural seeps from deep in the earth. Thermogenic methane comes from deep underground, and biogenic methane is the stuff produced by biomass (garbage, etc.) near the surface. There had been no natural gas or oil drilling in that area. The Marcellus shale structure shows up at different depths across Appalachia. In some places it is barely 1,000 feet under the surface, and in others it is over 8,000 feet beneath the surface. Water drawn from wells that receive water from a coal seam has methane and other toxic chemicals with it. Water wells are a large source of the methane problem, but the consumer doesn’t know this because methane is colorless, odorless, and tasteless. There are about 20,000 unregulated water wells drilled in Pennsylvania and New York, every year. The probability of getting methane in the well water from natural sources is high. Also, in about a thirty year stretch lots of gas wells were drilled in the Marcellus shale. Mistakes were made as the technology was developed. Many of the negative attitudes and stories originate in that development period. Fracing is blamed for a lot of things. Just because there are natural gas wells in the area does not automatically mean that hydraulic fracturing is at fault. Air Pollution – Natural gas is mostly made up of methane. In the natural gas extraction process, there are natural gas liquids produced, also. These are ethane, butane, and propane. There are some nasty gaseous compounds removed, also, and this is where air pollution can occur. If the removal processes are faulty, there will be escaping gas into the atmosphere. Because there are over 860,000 oil and gas wells in the USA, it is safe to say that the oil company people have figured out how to keep the air unpolluted at drilling and processing sites. Environmental activists go overboard on the danger of methane, and the risk it may pose to the environment. Remember, the natural gas drillers cannot make money from gas that is escaping to the atmosphere. They have a huge incentive to be safe and responsible with their operations. It comes down to the fact that air polluting wells are not a technology problem. Land Use – Here come the earthquakes. One of the most misunderstood risks about hydraulic fracturing is that they can produce earthquakes, usually micro-seismic events. We are not talking about the New Madrid quakes of 1811 and 1812 (the largest in the nation’s history). The seismic events caused by hydraulic fracturing, for the most part, cannot be felt on the surface. So, when someone says that they felt an earthquake and it was caused by fracing, season the information with a little salt. Drilling wells is an ugly business. Ugly is pollution, too. The drilling structure is from fifty to one hundred feet tall. There is cleared land to accommodate the drilling equipment, fluid storage, and transportation equipment. Plus, roads have to be built to access the sites. With all those roads and tanker trucks come chemical and toxic water spills. This is the most common and greatest environmental risk in the whole process. This is also the most manageable portion. There are state and federal regulations about drilling, transporting, and cleaning up spills. Spills are avoidable. So, there are real risks linked to natural gas shale hydraulic fracturing. All these risks can be properly mitigated. The technology is basically not a problem. The problems are management problems. With proper well construction, liquid transport and handling, and attention to details, environmental risks are relatively small. Fracking is destroying our planet and I am still convinced that all those black birds that died in mid-air in Arkansas was the result of it. Fracking releases toxic gases that are unseen and cannot be smelled. It has been linked to people turning on their faucets and seeing fire come out. There has to be another way, but this is not the solution. Ever since this started in Arkansas we have been getting small tremors and dead birds. So very glad you are posting on this!! It’s is a crucial topic that so many people are simply not aware of. Leticia. I do not disbelieve you. I trust your word. I read about quakes in Arkansas while researching the fracing article. I forgot where you lived, but if you live anywhere near Faulkner County in central Arkansas, then you will no doubt remember the 2011/2012 quakes. They found four disposal wells (not natural gas defracing wells) that were near a previously unknown fault system. I understand that this “new” fault is about thirty or forty miles ease of the New Madrid Fault. The Arkansas Oil and Gas Commission issued a moratorium on new injection wells in an 1100 square mile area. Fracing continues in the area and there seems to be no link to quakes. There’s a story in the Hot Springs Sentinel Record on July 28, 2011 about this. Link : Hot Springs Sentinel Record. You must register to read the whole article. The drilling fluids they are talking about is the huge amount of water used in the fracing process, but to get rid of the stuff they were pumping it into the ground close to a geological fault. This could have been avoided with a proper geological analysis. If you are still feeling quakes, I would like to know. As you know, I used to live in Memphis, and we had occasional tremors. I am sure the folks in Arkansas could feel them, too, because they were sitting right on top of the New Madrid fault. Leticia, I am probably bringing old news, but here is an article from Fox News about the Guy quakes from 2011. Also, here is a USGS report on one of the quakes. You can access this website for technical info. The Hot Springs paper wants you to subscribe to read their article. You have done a nice job, Bob, of explaining the real risks. Suface spills are generally not very threatening and generally speaking can be easily cleaned-up. Subsurface systemic leaks that go undetected are much more serious. Tanks and buried pipelines are where these kinds of leaks can occur. There are sensors, which if in place, can detect these leaks early before ground water contamination can occur. Thanks, Jim. I was concerned with Leticia’s reply because I know Arkansas, and had read about their earthquake problems while researching fracing. So far the authorities think they have an explanation for the Arkansas quakes, but only time will tell. I am trying to be open minded, but it seems that the greenie-environmental side goes, well, mental. I can’t help but think that the coal companies are a bit miffed at the natural gas boys, too. Thanks for coming by. Bob, my boss and I spent hours researching fracking how it was effecting the environment, we found a lot of footage on youtube proving that it is a cause to be concerned about. And I have not, personally, felt any tremors, but a few times my friends here will say on FB, “Did you all feel that tremor a few minutes ago?” I used to think it was the trains that were passing by, but yeah, I think I have actually felt them. My bed will shake just a tiny bit back and forth for a few short seconds and then stop. Yeah. I started out on YouTube and was frustrated pretty quickly. I got two types of information, gas company stuff that was all positive, and “concerned citizen” stuff that was all negative. Neither of these satisfied my inner nerd. Yes, I am an engineer, and I wanted to see some actual scientific data. What I found was that the Society of Petroleum Engineers had written some pretty technical papers, and if someone doesn’t agree, then they can refute a given paper. I did find a couple papers from University professors that were garbage, not even analyzing their own data properly. Most are pretty technical, but you can piece together the details without too much effort. The conclusion I have reached, so far, is that fracing in and of itself is rarely a problem. That’s why I was interested in the Arkansas earthquakes. People naturally blame the quakes on fracing,, and the Fox News story was pretty fair. If you read the reports they THINK it was the deep injection wells, not the natural gas fracing that was/is to blame. Nobody seems to have good data. That’s frustrating to me. Thanks for you reply. Hang in there. You know the BIG QUAKE will hit the New Madrid Fault in your region any year, now. Good luck. I heard a very comprehensive study was done recently which showed that the problems some say fracing has are not true………..that it’s been going on for a very long time and not the threat people think it is. Oh, well! I think the benefits outweigh the negatives. Whoa, nellie, indeed! Watch out for those shaky beds. I like California, but lived in LA for about four months, once. That was enough.